Bird and Floral Wall Stickers - Artistic illustration of two birds flying towards a rose. Whether you are looking for bird stickers or flower stickers, this design will add decoration to any room in your home. The illustration and its magnificent colours are eye-catching making it look fabulous on any wall. 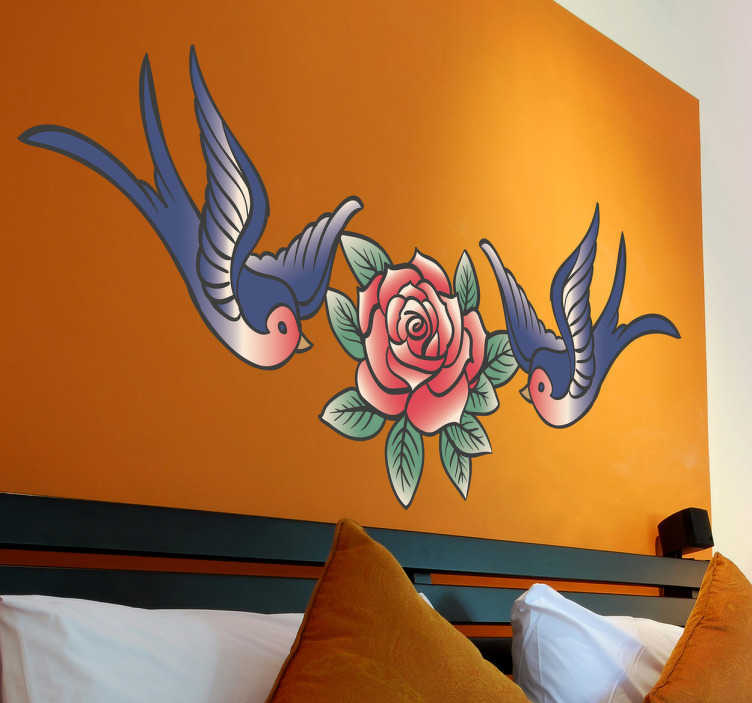 The swallow wall sticker is ideal for bedroom or living room setting. Made from high quality vinyl, this wall sticker is easy to apply and leaves no residue when it is removed.